Plasticine is the perfect modelling material! It never dries out and it can be mixed to make new colours, it is also great for young hands to make fun shapes with and for expert model makers to create intricate models with fine details. If you make a mistake or change your mind simply smooth out the area and try again. Pack contains 6 x 500g slabs: 1 x orange, 1 x green, 1 x purple, 1 x pink, 1 x blue and 1 x red. Bought this item to be used in animation stop motion videos by children in a classroom setting. A key feature the product I wanted was for it to not dry out as long periods can go past without use, and so far so good! 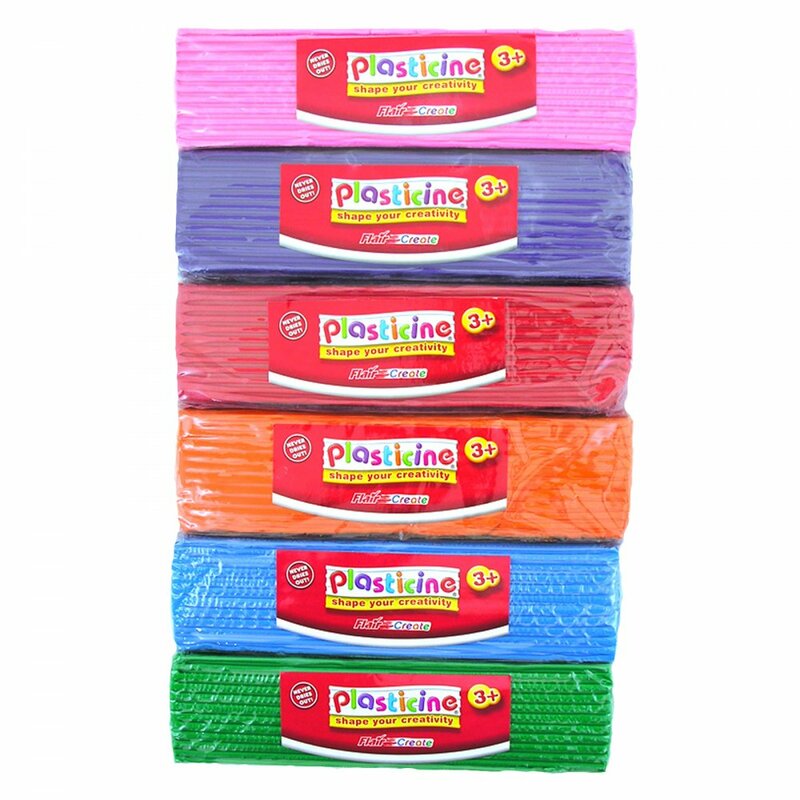 Very competitively priced and couldn't find any other product that would supply 3kg of plasticine that cheaply or with such variation. Super speedy delivery too!